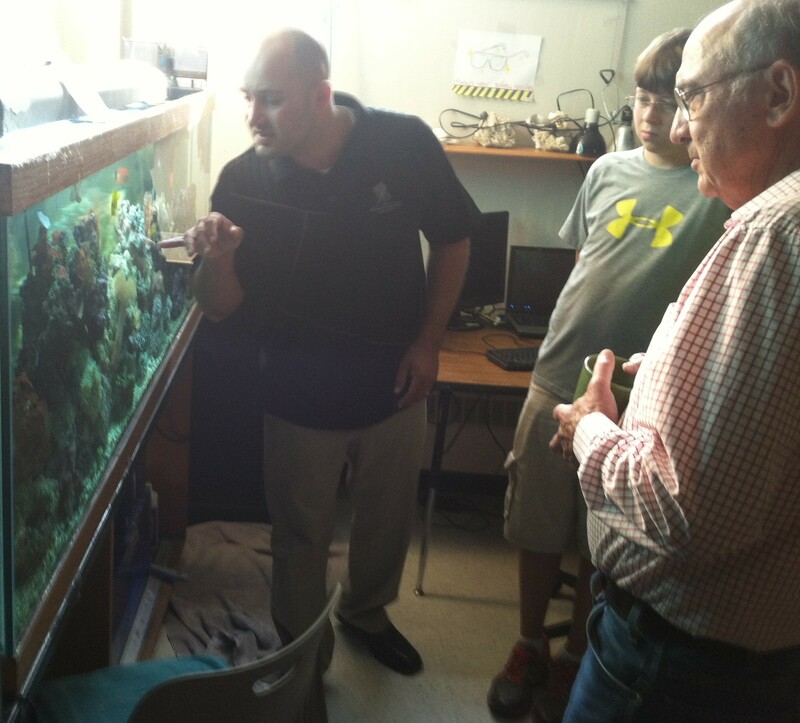 Teacher Justin Johnson, from the left, discusses Thursday the salt-water fish tank in his science classroom at Central Middle School with student Will Kelly and Jim King of Muscatine. It’s easy to complain about teachers. But there are far more good teachers out there whose hard work is often overlooked. Take, for example, Justin Johnson, who teaches science at Central Middle School in Muscatine. In addition to teaching, he has helped his students organize a coffee bar in the school. They set up from 7:30 to 8 a.m. on Tuesdays and Thursdays in the main hallway at CMS, where they sell coffee for $1 a cup. They also sell pastries and fruit. Money raised by the students will be used to help maintain the aquariums that Johnson uses as teaching tools in his classroom. This in-school coffee shop was intended to serve faculty and staff at CMS. But I wandered in Thursday with the father of one of Johnson’s students. We were joined by a third friend from the Muscatine Community Y. We were served and Johnson says he and his students will sell coffee to other community members who stop in for a caffeine fix. 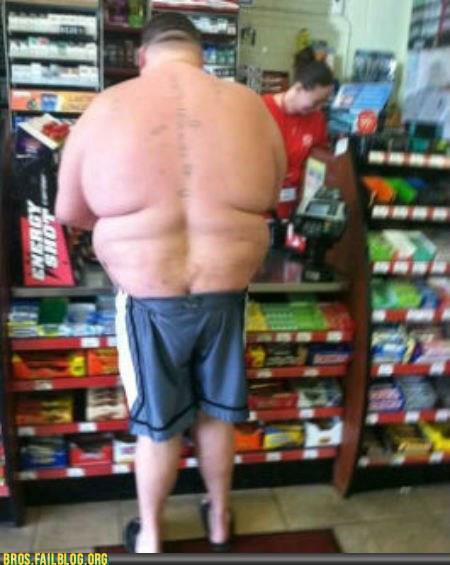 There are a lot of lessons being taught here. As I understand it, the students are largely responsible for maintaining the aquariums. And they are also learning a little about capitalism as they raise money to help pay for the materials and supplies they need. To be honest, I’ve had better coffee. But I sure like what the cup of coffee I had this morning represents. More on Facebook: If you’re not one of my Facebook friends, you miss a lot of interesting stuff. Today, this photo is attracting a lot of chatter. So far, the best comment I’ve read referred to this guy as Mr. Incredible. Thanks, Hoppi. Teachers like having the mayor drive the bus on their field trips. And I like knowing he is reading and posting comments here. I’m humbled, Steinbach. Thanks for your patronage and the publicity for CMS Aquarium Committee! You’re welcome. Glad to do it. I’m humbled, Steinbach. Thanks for the patronage and the publicity for CMS Aquarium Committee! Be sure to swing by and check out the tanks the students tend to at Musser Library and Francesca Vitale’s. Anticipated stocking of the Vitale tank is 9/15/2012!!! Let me know what time you do the stocking on Sept. 15. Maybe I could swing by and take a photo. It sounds interesting.